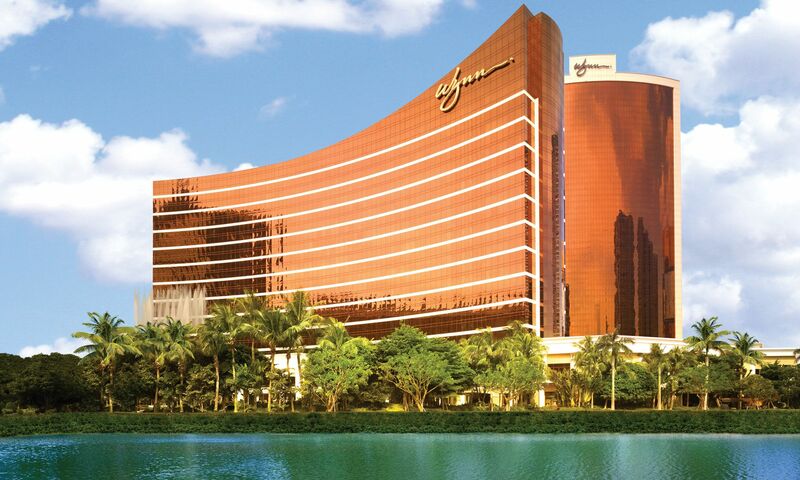 The Wynn Macau complex is a mecca for refined dining, from classic Cantonese establishment Wing Lei to classic Italian Ristorante Il Teatro, gourmet aficionados have made the hotel a destination for sampling some of the best dining options in the city. Among them are Mizumi and Golden Flower, two of the hotel’s iconic restaurants. These two stars shine brightly, with much acclaim for their respective charm and finesse. Golden Flower is located within an exclusive quarter adjacent to its arcade. A winner of Top 20 Restaurant Awards by T.Dining by Hong Kong Tatler, as well as a five-star rating from Forbes Travel Guide and a Michelin two-star rating, Golden Flower specialises in Tan Cuisine, a unique repertoire not widely represented in the diversity of cuisine options available in Macau. Celebrating the uniqueness and finesse of the cuisine, the establishment has been a popular stop since the hotel opened in 2010. Tan cuisine originated in Qing Dynasty, and embodied the wealth of culinary and gourmet expertise of the Tan family who blended cooking techniques and characteristics of Northern and Southern Chinese cuisines, and rich culinary traditions. The cuisine’s characteristics lie in the balance of flavours in each dish, with a particularly strong focus on preserving the ingredient’s original taste. Dishes in the Tan cuisine may appear simple, but often it requires labour-intensive preparation ahead of time, and few master chefs are as experienced and knowledgeable as chef Liu Guo-Zhu, executive chef of Chinese Culinary Operations of Wynn Macau, and the leader has been at helm of the kitchen at Golden Flower from the beginning. Liu was chosen by the Chinese government in 1960s for his talents in cooking. During his first apprenticeship he opened his eyes to Tan Cuisine thanks to his mentors. 50 years later, Liu himself has established himself to be a master of the cuisine, mastering not only the cooking methods but also passing on his culinary expertise to a future generation of chefs, as well as overseeing the unique menu offerings at Golden Flower. Celebrated for its balance in flavours, Golden Flower’s Tan Cuisine brings an exciting selection of dishes that are unique on their own. The chicken soup, an iconic building block of the cuisine itself, is what makes the cuisine stand out from others. Its signature fresh clam and jasmine in chicken soup is the epitome of the cuisine, where the chicken consommé, resembling a distilled elixir, is lightly infused with jasmine flowers and served with fresh clams, yielding just the right of sweetness from the ocean. Stewed fish maw with crab claw in supreme chicken soup, another Golden Flower signature dish, accentuates the fine art of using dried seafood in Tan-style dishes. Dried seafood require meticulous preparation before they can be cooked, and Liu is a master of the craft. In this dish he pairs the prized fish maw with his supreme chicken soup, enriched with chickens, Jinhua ham, and aged duck, and stewed for eight hours. The rich base flavours permeate into the fish maw, accompanied by fresh crab claw. While food is supreme at Golden Flower, one should never miss its abundant collection of artisanal Chinese teas. As Macau’s first dining establishment to hire an in-house tea-sommelier, Golden Flower's guests can indulge in the best brews and infusions prepared tableside by the tea-sommelier. Notable celebrate varieties include aged pu’er teas and Dragon Well green teas. The resident tea-sommelier can also offer sound pairing suggestions for guests. On the other side of the Wynn Macau complex is Mizumi. Refurbished in 2016, the Japanese restaurant earned a four-star rating in the Forbes Travel Guide from 2014 to 2016, and a five-star rating from 2017 to 2018, as well as a two-star rating in the 2017-2018 edition of the Michelin guide. Aside from numerous accolades, the restaurant also took on a new look, with a vibrant theme of red, with elements of gold weaved through the refined interiors. Adding new life and youthful energy to the restaurant’s design, guests are invited for a more interactive dining experience under the newly designed space. Mizumi specialises in three disciplines: sushi, tempura, and teppanyaki, each showcasing the expertise in Japanese gastronomy, demonstrated through hands of Norihisa Maeda, Mizumi's chef de cuisine, and Hideki Fujikawa, the restaurant's head chef. The Japanese establishment reassures guests on mastery of these three disciplines through a premium source of seasonal ingredients as well as the skills of chefs, trained by Japan’s great culinary masters. Sushi-making requires patience, and great intuition, and knowledge of temperature, technique, creativity, and consistency are all factored into the process of becoming a great sushi master. At Mizumi, chefs are trained by Tsutomu Shimamiya, a master of Edomae-style sushi. The simplicity of sushi is deceiving, as the chef must season the rice, pressing and forming the grains to create high-quality shari, and at Mizumi, guests can expect no less than the season’s best across the counter of the sushi bar. Similarly, tempuras are no easy feat. A light dip of the freshest vegetables or seafood into the batter, quickly slipping each morsel into hot sesame oil, turning each piece into golden fritters, creating these deep-fried treats that are pristine at Mizumi. Teppanyaki, Mizumi’s third discipline, is as much as feast as it is theatre. Technique-driven cooking showmanship mixed with fresh, premium ingredients, from wagyu to seafood, teppanyaki requires more than just cooking, but also a demonstration of techniques through the preparation of fine ingredients, thanks to master chef consultant Junichi Yoshida, teppanyaki continues to be one of Mizumi’s most popular disciplines. Japanese cuisine is best paired with sakes, and Mizumi’s selection is impeccable, with over 40 varieties to choose from, including 16 exclusive brands that are served exclusively at Wynn Macau, some of these labels are rare finds even in Japan. From the distinctive Tan cuisine at Golden Flower to the refined disciplines in Mizumi’s Japanese cuisine, Wynn Macau proudly proves its status as a strong hub where fine dining aficionados gather for the best enjoyment of refined cuisines.